OUR TIME MACHINE. Maleonn working on bird sculpture. Courtesy Maleonn Studio. Yang Sun and S. Leo Chiang’s evocative documentary OUR TIME MACHINE released the first trailer ahead of its World Premiere later this month on Sunday, April 28th, at the 2019 Tribeca Film Festival. Following its Tribeca World Premiere, the film will make its International Premiere at the 2019 Hot Docs Film Festival before heading to the DocLands Documentary Film Festival and the 35th LA Asian Pacific Film Festival. 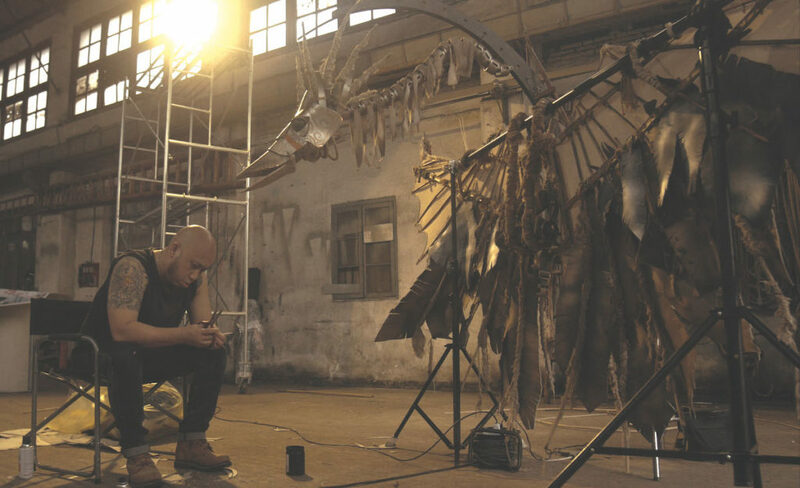 The film is an intimate look at Chinese artist Maleonn as he sets out to stage an ambitious performance piece about time and memory when his father, the former artistic director of the Shanghai Chinese Opera Theater, is diagnosed with dementia. Maleonn hopes the work will bring the them together artistically and personally but as time goes on, and his father’s condition deteriorates, he is torn between the original goal to honor his father and the pressure of finding commercial success.